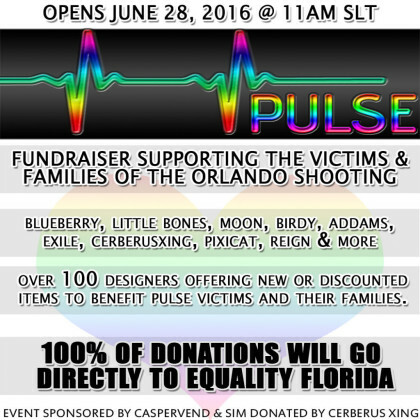 Today marks the opening of the Pulse fundraiser for the victims and families of the of the Orlando shootings. 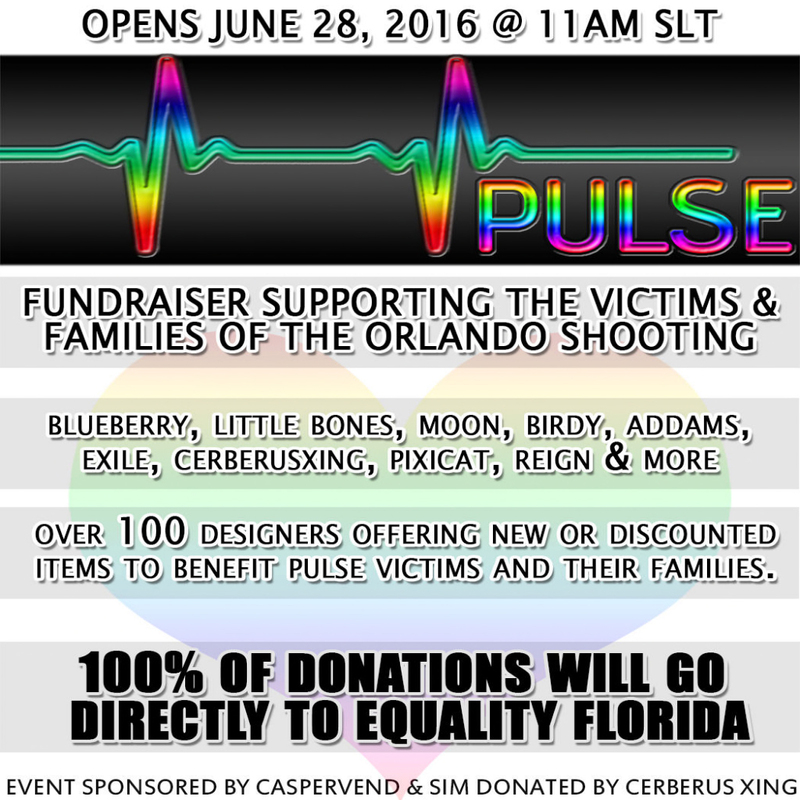 A really impressive group of vendors, merchants and friends are all donating time or items to help those effected. I’ m really not sure what to say, everything I usually do or say seems a wee bit inadequate but I made up a new item set for it. We didn’t have to, we could just recolor or something but I’ve had something in mind for quite some time catering to all sorts of people so I figured it was the best time to do it. It’s a couch, nothing spectacular maybe but I’ve been thinking about working this particular design to go along with the Tantra Chair, and the Quiet Reflections chairs that I made for ROMP awhile back. Same texture types, and it has 17 different textures for the pillows and the mattress. Can mix/match the look if you want that way I suppose. There are 4 versions. All of them are PG, just cuddly things, kisses, conversing, spending time with someone special. I didn’t want to do anything too in your face for this event, and it just seemed suitable. Technically this is what I envisioned for this particular piece anyhow so might as well go with it. The Full Version caters to pretty much everyone. Not a bad bit for everyone to be able to spend time with someone. Then the other three versions are more specific. A girls only one, one for the guys, and the one for M/F sorts.